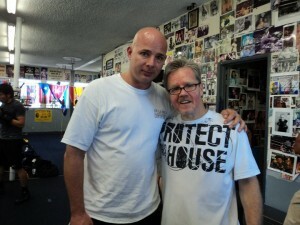 Freddie Roach Implies Khans on Roids? Andrei says he & Overeem are teammates (they both train at Jacksons MMA gym)but he does not like Overeem. The reason? Alistair went to the UFC and asked to fight Arlovski. It seems like the coaches have pick sides, both Jackson & Winleljohn will be in Andrei’s corner. April 23, 2016 Jon Jones beats OSP (Ovince Saint Pereux) via 5 round decision. Does anyone care? Jon’s done more since this vid was released. Jon Jones is involved in a hit and run with a pregnant woman. Police find marijuana & a pot pipe in Jones’s rental car. UFC strips Jones of his title & suspends him indefinitely. Jon Jones is pulled over for drag racing, call cop a pig & a liar. 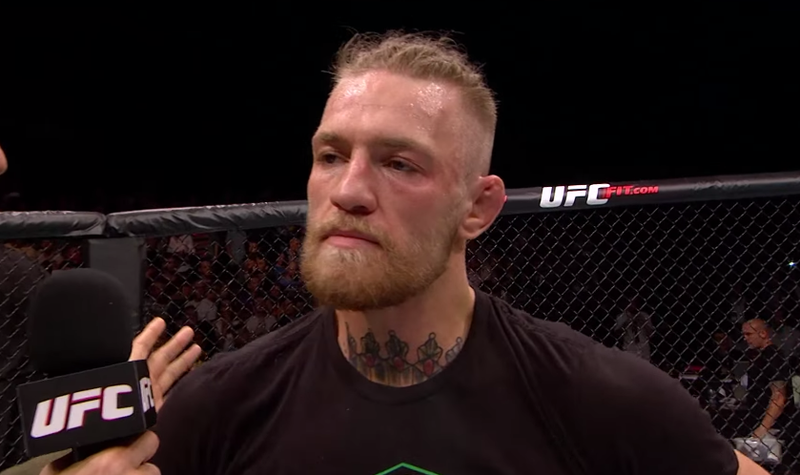 Conor was pulled from his rematch with Nate Diaz at UFC 200 by Dana White. Conor refused to leave training in Iceland to promote UFC 200. McGregor won his last 5 fights by stoppage (including the UFC Featherweight Championship) before losing to Diaz by rear naked choke at UFC 196. “I guess my work here is done I’m retiring too. He added a peace sign & fist bump emoji at the end. “To see a young man doing what he loves, competing for a chance at a better life, and then to have it taken away is truly heartbreaking. We are just men and women doing something we love in the hope of a better life for ourselves and our families. Nobody involved in combat sports of any kind wants to see this. It is such a rare occurrence that I don’t know how to take this. “I was ringside supporting my teammate, and the fight was so back and forth, that I just can’t understand it. “My condolences go out to Joao’s family and his team. Their man was a hell of a fighter and will be sorely missed by all. “Combat sport is a crazy game and with the recent incident in boxing and now this in MMA, it is a sad time to be a fighter and a fight fan. It is easy for those on the outside to criticise our way of living, but for the millions of people around the world who have had their lives, their health, their fitness and their mental strength all changed for the better through combat, this is truly a bitter pill to swallow. We have lost one of us. “I hope we remember Joao as a champion, who pursued his dream doing what he loved, and show him the eternal respect and admiration he deserves. João Carvalho suffered a TKO loss at the hands of Charlie Ward. After the bout he was checked out by the on site doctor, who determined that João should go to a hospital. At the hospital he received emergency brain surgery and was placed in ICU. João passed away on April 11, 2016 at Beaumont Hospital in Ireland, he was 28 years old. For more info on our Boxing classes, MMA classes, Kids classes or 30 Day Free Trial drop your name & Number in the comments box or call us at 718-423-2399.